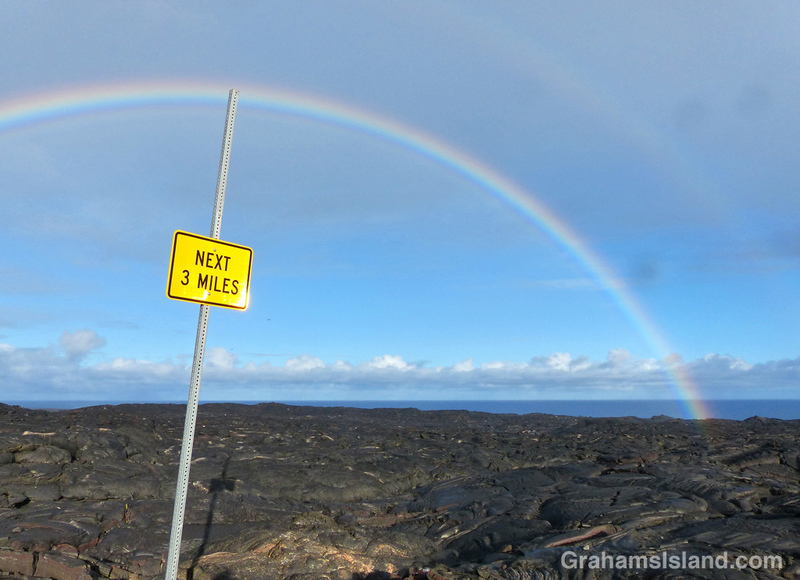 I saw this sign when I was hiking out to see the current lava flow from Pu’u O’o to the ocean. Sure, the sign was a little vague, but I figured it must refer to the rainbow which it appeared to point to. By golly, the sign was right. There were rainbows for the next 3 miles. I hope you don’t live too close to the lava flow! It was a wonderful, intense rainbow, with a weaker, second outside it.